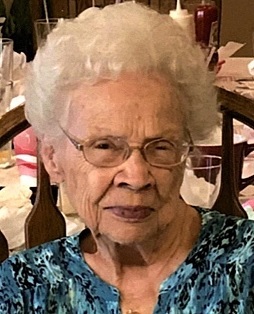 Dolly M. Fleeger, age 90 of Chicora, PA died unexpectedly, Saturday, December 1, 2018 in the Butler Memorial Hospital. Born October 4, 1928 in Karns City, PA. the daughter of the late William LaPearle and the late Lillian Bailey LaPearle. She worked for 13 years at the Chicora Medical Center in the kitchen and in housekeeping. She was a member of the Chicora Senior Center. She is survived by twin daughters Donna Bartoe and her husband Allen of Petrolia, and Bonnie Rossiter of Petrolia; a son Ronald Miller of Chicora, 6 grandchildren, 13 great-grandchildren. Dolly was the last surviving member of her immediate family, and was preceded in death by her parents and her husband, Harry Fleeger whom she married December 15, 1954. Harry died February 15, 2008; and 3 brothers Edward LaPearle, Leroy LaPearle, and Harry 'Hap' LaPearle. Friends received at STEIGHNER FUNERAL HOME, at the corner of Main and E. Slippery Rock Streets, Chicora, PA. Tuesday, December 4 , 2018 2-4 and 7-9 pm. Funeral Services will be held Wednesday, at STEIGHNER FUNERAL HOME, at 11 am with Reverend Mark Wallace officiating. Interment will be in Greenlawn Cemetery, Mount Chestnut, Butler, PA.